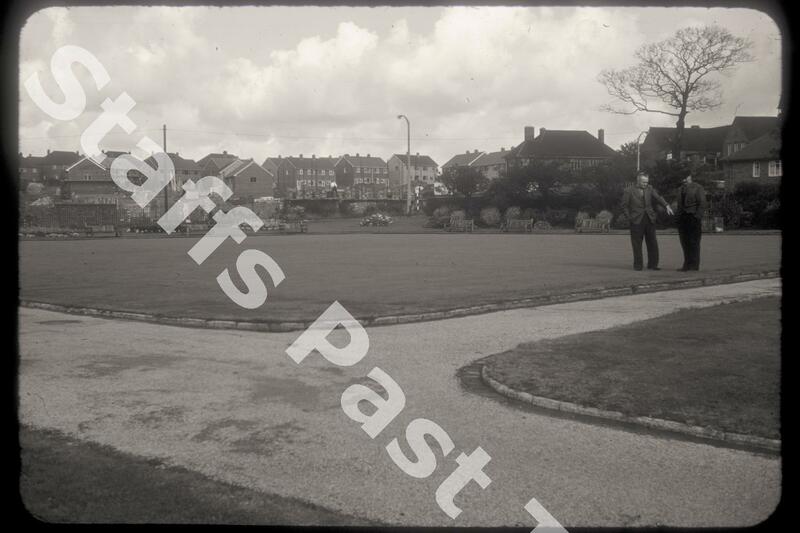 Description:Anchor Road Bowling Club green in Sandford Hill. The green was created on the site of abandoned mine shafts and spoil tips along side Anchor Road. 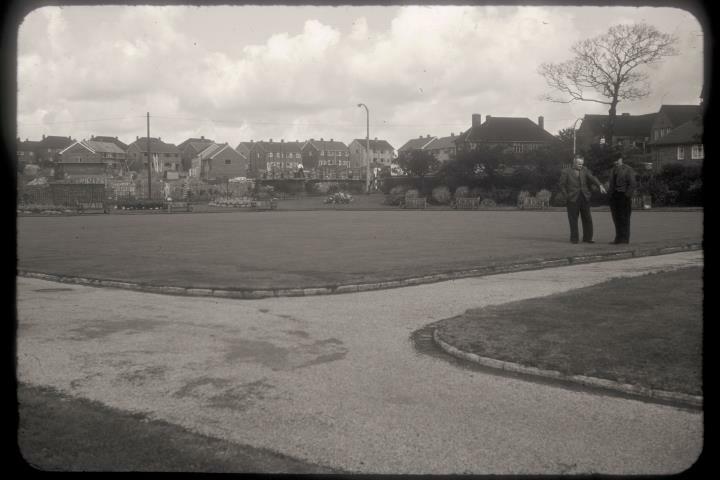 The pavilion is off to the right behind the two members discussing the grass.